Plastic pollution, what’s the solution? We held a conference addressing plastic pollution is to be held in Sunderland as part of World Environment Day on 5 June. Plastic pollution is one of the biggest environmental threats we face, and the event aims to provide the opportunity to share ideas and get advice on potential ways to reduce the use of plastic and, in particular, single use plastic. 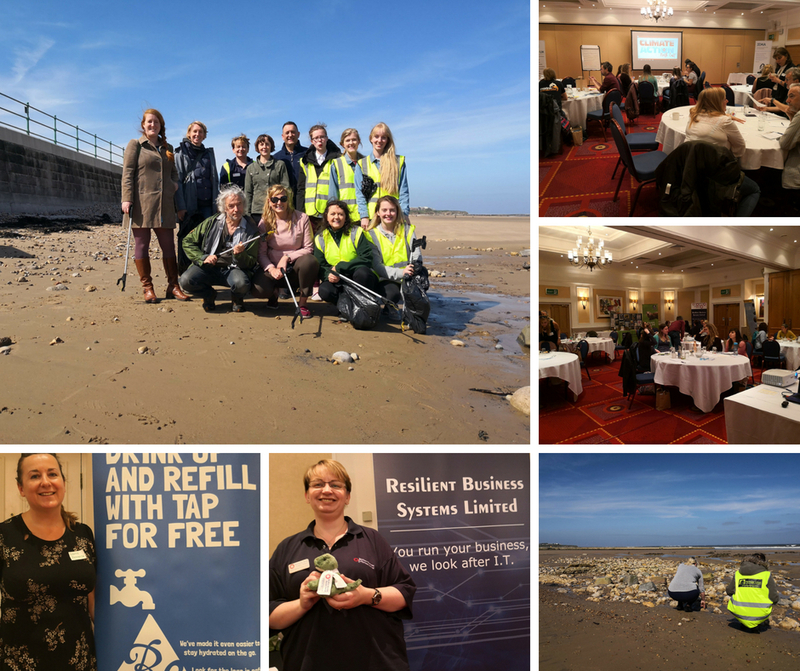 The “Plastic pollution, what’s the solution” event, which was held at the Marriot Hotel in Sunderland, was sponsored by Northumbrian Water and Resilient Business Systems. Sharon Lashley, Managing Director at Climate Action North East, said: “Plastic pollution is one of the biggest environmental threats the planet is facing now. In the last decade, the world produced more plastic than in the whole of last century. Each year the world uses 500 billion plastic bags and at least eight million tonnes of plastic end up in the oceans, the equivalent of a full garbage truck every minute. The conference took focused and honest look at the escalating plastic pollution issue and showcased practical solutions. This included the launch of Northumbrian Water’s Refill initiative, which is encouraging cafes, bars, restaurants and other businesses to open their doors and allow members of the public to top up their re-fillable water bottles. Visitors also had the opportunity to listen to a line-up of expert speakers from organisations including the Marine Conservation Society, Surfers Against Sewage, Tees Valley Wildlife Trust and the University of Leeds. Tom Parkin, owner of Sue’s Café in Sunderland also told his story on how they have implemented simple changes to eliminate single use plastics and Sharon Lashley of Climate Action North East explained how a new initiative called Green Heart is helping schools combat plastic pollution and raise awareness of litter and waste. Attendees also took part in a nurdle hunt on Seaburn beach opposite the Marriot Hotel. Nurdles are small plastic pellets used to make nearly all plastic products and many end up washing up on our shores.